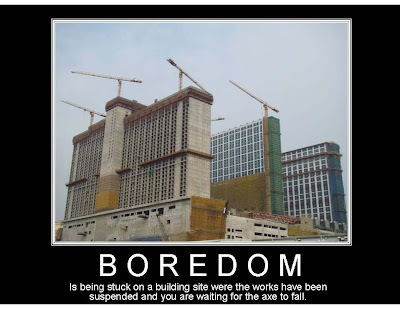 As everybody here in Macau/Hong Kong knows, this project has been suspended until Sands actually finds his funding... While just about 90% of the whole team (all of the teams) have been laid off, and some are still sitting around serving their notices... Adrian has created this brilliant piece! It's been circulated, posted on walls and partitions in some the offices hahaha!